This article by Jerry Cates and Mitch Page, first published on 18 November 2012, was last revised on 12 November 2014. © Bugsinthenews Vol. 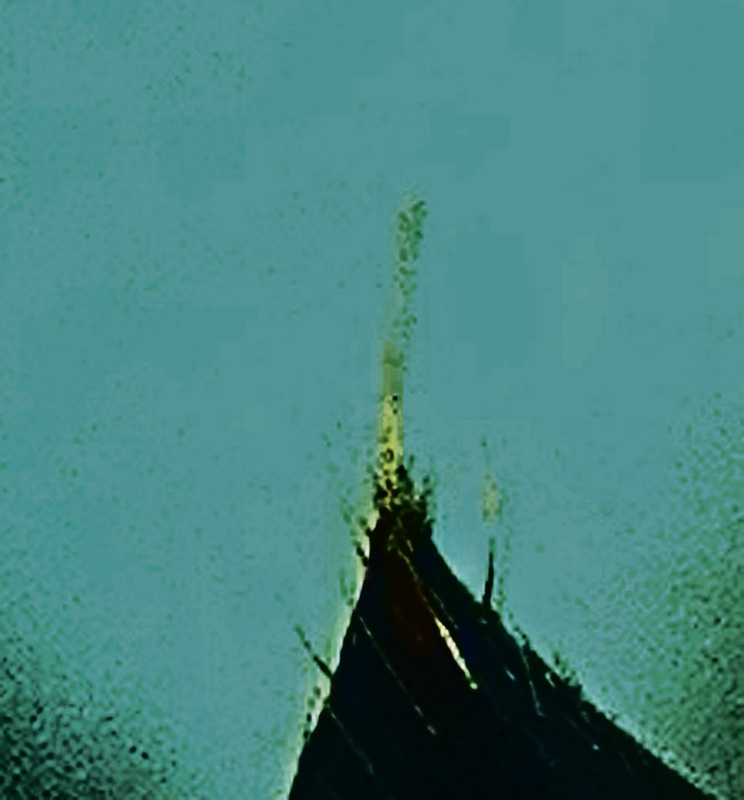 13:11(02). 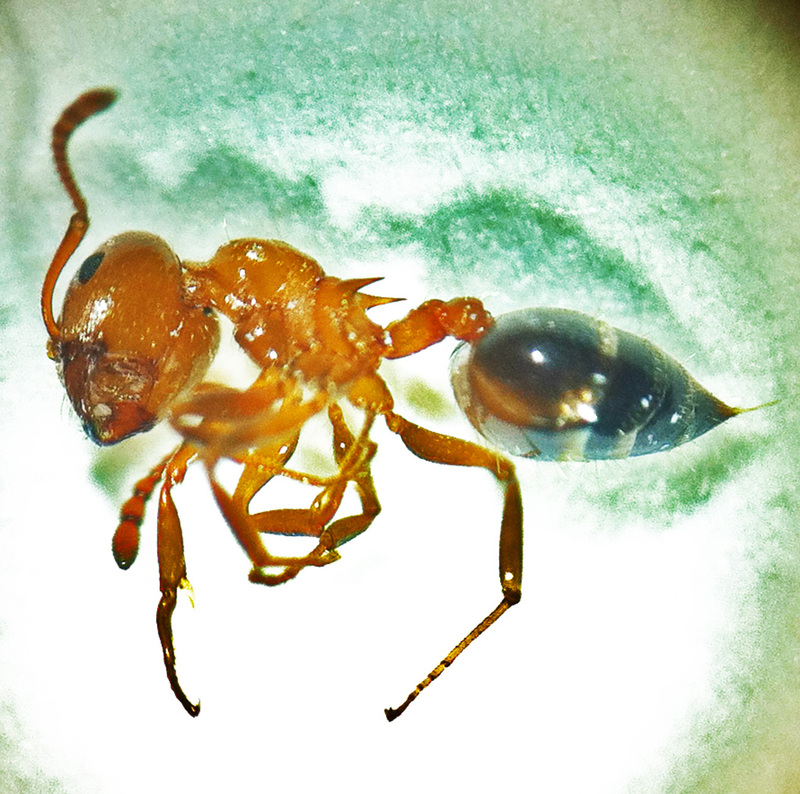 On 12 October 2012 the maintenance director of a medical facility located near the southern tip of Austin, Texas, called to say that a moderately sized ant, with a red head and midsection, and a black abdomen, had invaded one of their facility bedrooms. Since the invasion appeared to involve the much-feared red imported fire ant (RIFA), I immediately rearranged my schedule and drove to the site. By the time I arrived, the ants were no longer present, but specimens had been collected and were on hand for me to examine. One look with the unaided eye determined — to my relief — that they were harmless acrobat ants. Glancing out the bedroom’s window, it was easy to see where they had come from. Some 20 feet from the window stood a good sized island of lush, thick, well-tended botanicals, as high as it was wide. My mind’s eye immediately envisioned extensive colonies of aphids, mealybugs and scale, hidden from view within the island’s leafy boughs. But mostly I was grateful the invaders were not fire ants. They are easily mistaken, one for the other. 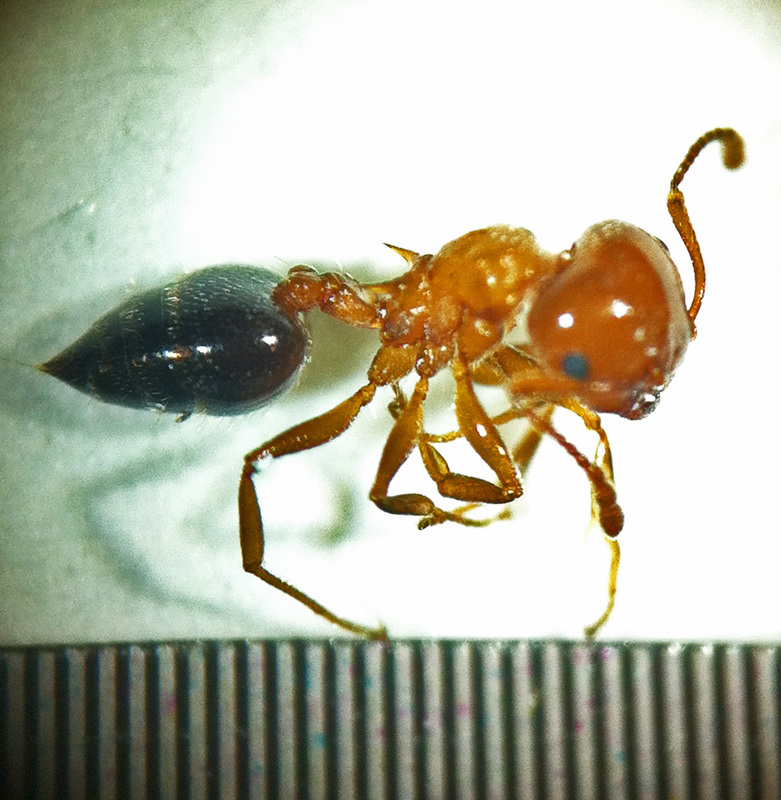 The average red imported fire ant worker (Solenopsis invicta, whose workers are continuously polymorphic, i.e., of widely varying sizes) is about the same size as the typical acrobat ant (Crematogaster spp., whose workers, in those species most often observed in central Texas, are mainly monomorphic); both have reddish anteriors with black posteriors; and both — being members of the same ant subfamily (Myrmecinae) — have elongated petioles divided in two nodes. 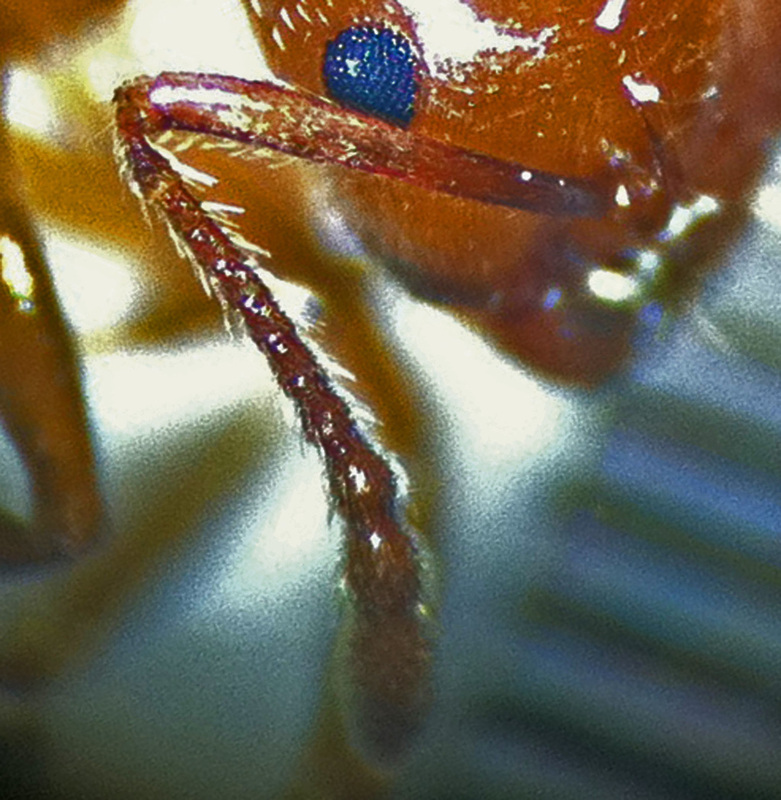 But the red imported fire ant has an elliptical posterior that is widest at its middle, while that of the acrobat ant, when viewed from above, is shaped like a heart (some actually call them Valentine ants for this reason), widest at its anterior aspect, and gently tapering back to its posterior tip. 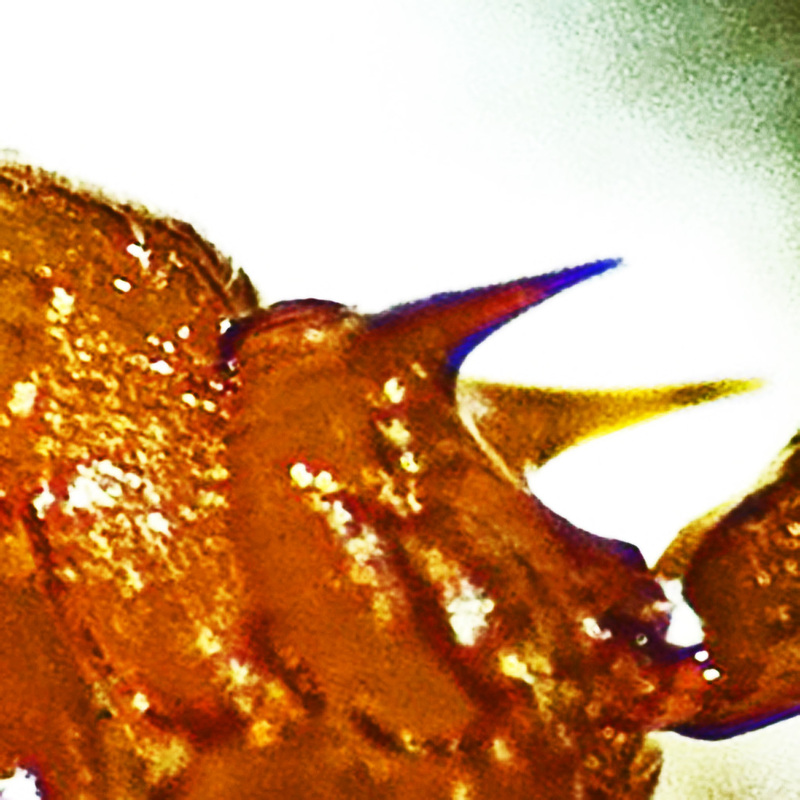 Though that feature alone is diagnostic of the genus Crematogaster, its most heralded distinction is that, when disturbed, it pitches its rear end upward over its head. Among all our common ant species these alone are able to perform such acrobatic feats. If, perchance, you guessed that their common name derives from that distinctive behavioral trait, you are correct. Acrobat ants sometimes invade human dwellings, as they did in this instance. Oi & Vail (2011) refer to these as only occasional structural pests, though in eastern Arkansas and western Tennessee they are considered important pests of structures. Isolated workers may show up inside structures from time to time, most likely while scouting for food sources or a new nesting spot. When they invade structures in large numbers, their purpose is typically not so much to find food as to find and take up residence in a cryptic retreat, where they can establish a new nest. In man-made buildings acrobat ants often nest in walls, particularly around doorways and windows where they exploit the multitude of voids those structural elements typically afford. Later they may make their presence known by ejecting trash (including bodies and body parts of deceased nest-mates and other ant species) from small cracks or holes around the door and window frames where their nests are positioned. Such trash heaps, often referred to as frass, are composed of dry, granular, loose, particulate litter (quite unlike the mud-like structures made by termites around the ejection holes they make in walls they are infesting). The discovery of such trash heaps inside homes strikes fear in the hearts of home owners who take them as evidence that wood-destroying-insects are damaging the wood, insulation, and wallboard that holds their homes together. In a sense they are correct, but in another, their fears are misplaced. More often than not, acrobat and carpenter ant infestations in a wall are symptoms of concomitant moisture-mediated fungal infections in that same location that preceded the ants. Such infections weaken, and even rot, the moisture-laden wood inside the wall. The ants are merely attracted to the moisture, and when they find that they can easily excavate the rotted wood to enlarge their nests, they stick around awhile. The fortuitous confluence of these two conditions make such locations imminently suitable for nesting purposes, so we can scarcely blame the ants for converting those advantages to their use. Once moisture issues around doors and windows are corrected, any ant infestations associated with them will usually resolve themselves automatically. Thus, the best defense against ants in walls is good moisture control, which usually involves the proper use of trim and cowling, judicious applications of caulk, and — in the humble opinion of this practitioner — an infusion of 10% aqueous disodium octaborate tetrahydrate (Tim-Bor®), with enough surfactant added to break the surface tension and hasten its absorption into the wood (in accordance with the specimen label). Many species of acrobat ants move their nests several times during the year. It is not unusual to find them forming long lines one or two abreast, with many of the sojourning workers empty handed, while others are hard at work toting the community’s eggs, larvae, and pupae in their mandibles, and the jaws of still others are loaded up with mealybugs, scales, or aphids. Chances are, the ants that invaded this facility did so while searching for a new home, or while on the move from an old nest to a new one. Their food, throughout the year, consists primarily of the honeydew secretions of homopteran insects. In fact, they are well-known for farming colonies of such insects as a means of providing their members with a ready supply of the latter’s sweet liquid exudations. “The cultivation of Homoptera by ants is usually considered detrimental to plants, but any damage may be offset by the ants’ predation on defoliators. 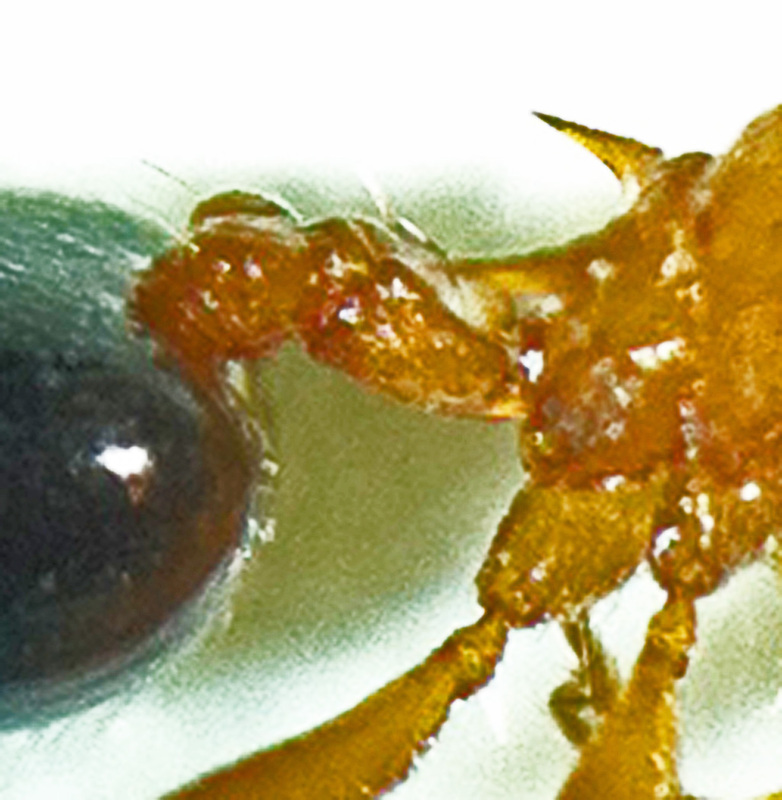 Another factor that may contribute to the stability of the ant-Homoptera-plant relationship is the ability of some homopterans to withdreaw large quantities of sap without seriously injuring trees, thereby allowing them to feed on the same plant year after year (Bradley and Hinks 1968). A portion of the sap sustains the aphids, but most is passed on as honeydew to the ants. In return, the ants protect the aphids and the trees from their enemies.” (Hansen and Klotz 2005). In my work with landscapers and gardeners I encourage a balanced approach based on habitat modification that favors diversity over extermination. For homopteran control I release parasitic wasps that help keep their numbers in check. 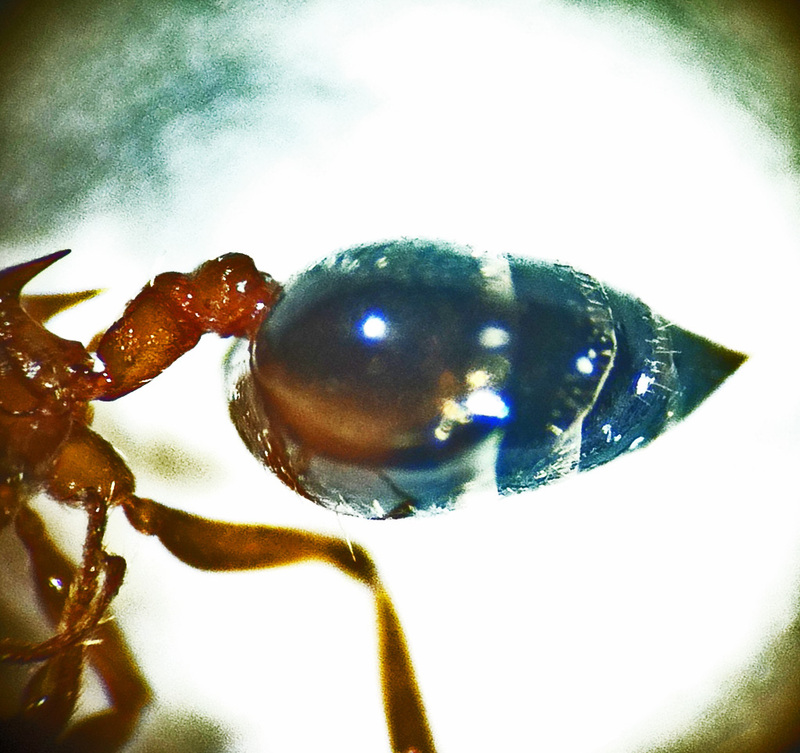 The net effect is to reduce the number of acrobat ants without chemical pesticides. The more organisms we have in our surroundings, the more likely they will all work together, in a loose symbiosis that helps maintain a healthy ecosystem favorable to all. When that happens, everybody benefits. General Anatomy: The taxonomical identity of this acrobat ant colony at the species level has not yet been determined. 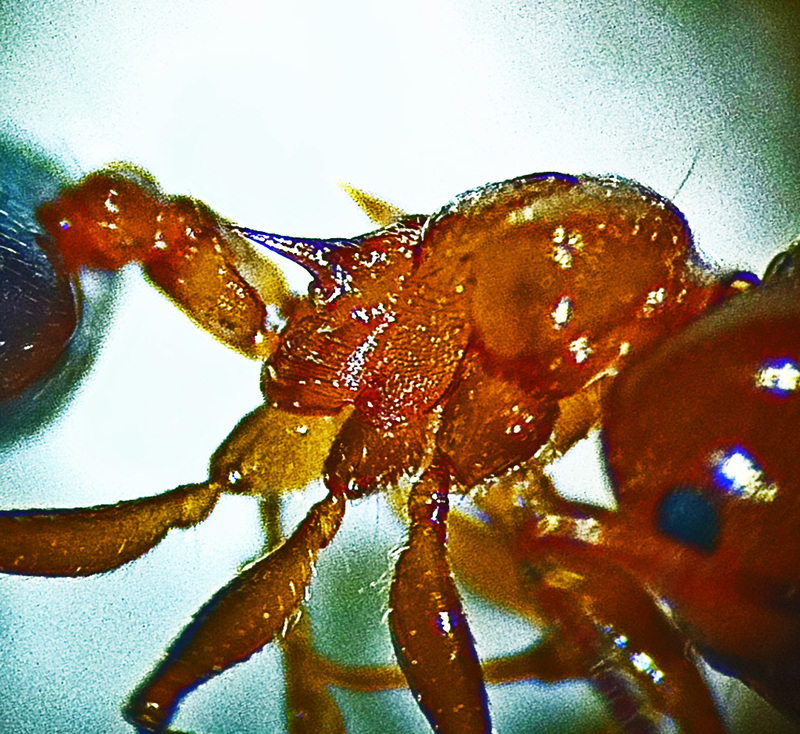 The genus Crematogaster is species rich and complex. Until recently it has been difficult for practicing field analysts such as I to proceed beyond the basic generic level, simply because the literature on these ants has been sparse and lacking in detail. Oi & Vail (2011), for example, mention only four species (Crematogaster lineolata, C. cerasti. C. laeviuscula, and C. ashmeadi), without providing details that might be used to tell them apart. Morgan (2009), in her revision of the genus in North America, explains that workers of many species vary considerably from specimen to specimen, to the point that — in the past — misidentification, and erroneous assignment of multiple species names to ants within a single species, was common. She notes that over 900 species, subspecies, varieties, races, strips, and transferred names have been recorded for the genus worldwide, making it the 7th largest ant genus known. 51 separate species were, prior to her revision, assigned to North America. She found that 13 of those were synonyms, i.e., the same species had been described under two or more names. That left 38 described species in North America, of which 24 had been observed in the United States, 15 of them in Texas at one time or another. I will be concentrating on those latter 15 species, in an effort to determine if any of them match the ants described here. Although the photographs shown here provide a general view of the basic morphological structures of these ants, they do not depict them in a standard format. Accordingly, I am mounting several specimens from this collection on dry point mounts, preparatory to taking new photographs that will depict the ants in conformity to the drawings provided in Morgan (2009) and the photos in Blaimer (2012, a & b). Precision measurements are also being made of the 13 anatomical structures described in Morgan (2009), as previously defined by Longino (2003). Once that is done, it should not be difficult to arrive at the correct species identification. Questions? Corrections? Comments?e-mail jerry.cates@bugsinthenews.info. You may also register, log in, and leave a detailed comment in the space provided below.